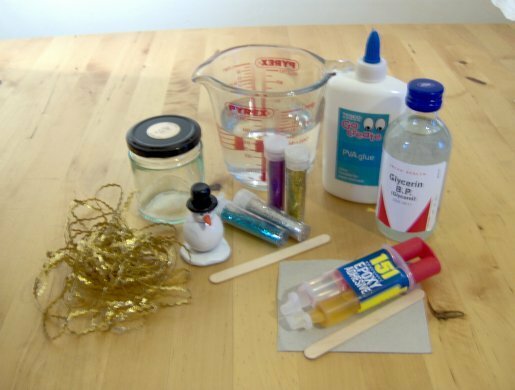 This is a really easy project for Christmas that will be a favourite with all the family. They make great presents too! 1. 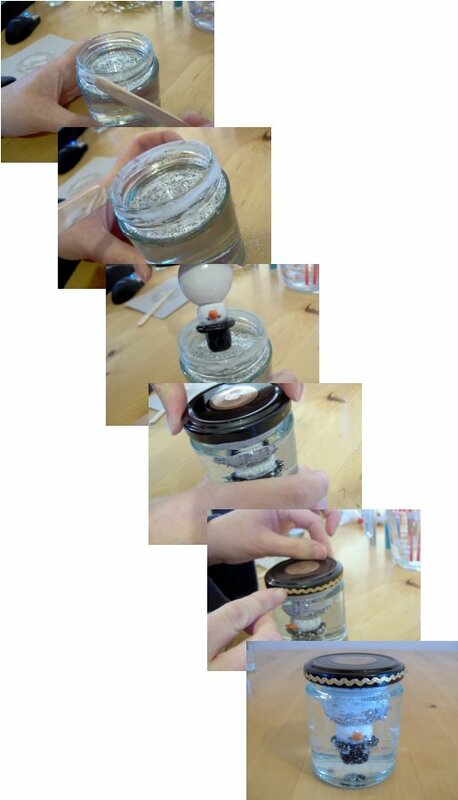 Wash, dry and remove labels from the jar and lid. 3. 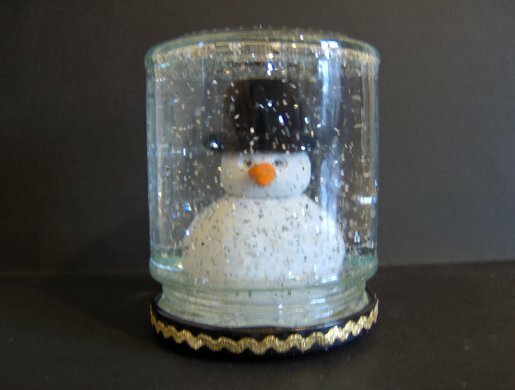 Fill the jar one third with glycerine (the glycerine thickens the water and so helps the glitter fall more slowly, like snow). 4. 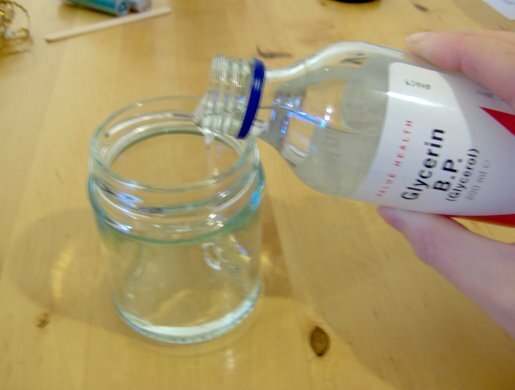 Sprinkle the glitter onto the glycerine and then fill up the jar with water. 5. 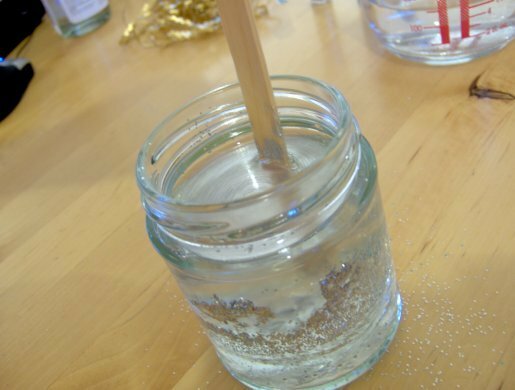 Stir the glycerine, glitter and water together thoroughly using one of the craft/lolly sticks. 6. 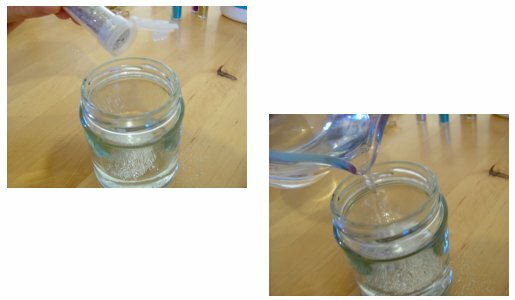 To help prevent any leaks, spread some epoxy glue around the inside rim of the lid or outside edge of the jar and placing the toy head first into the glittery liquid, screw the lid onto the jar tightly. Leave the glue to set. 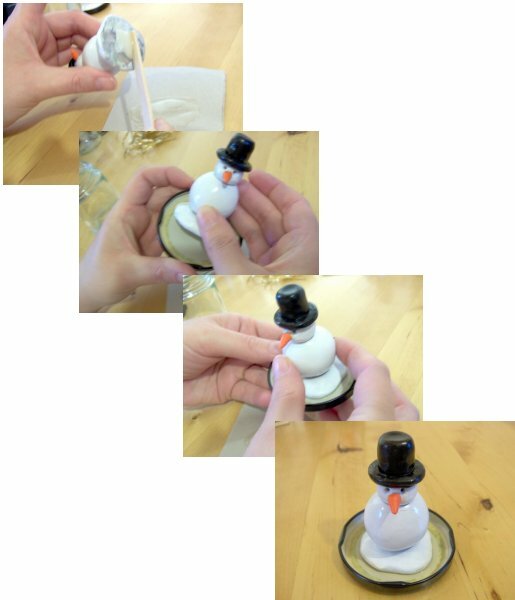 While the glue is drying, stick on some shiny rickrack or other ribbon around the lid edge using the PVA glue. 7. 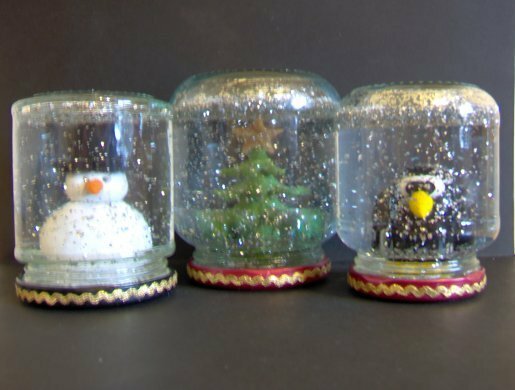 Your snow globe is now ready, shake it up and watch your beautiful winter wonderland.